CUT squash in half and remove seeds; sprinkle with cinnamon, nutmeg, salt and pepper. Place cut-side-up in baking dish. Add 2 cups water and cover dish tightly with foil. Bake for 45 minutes, or until tender. SCOOP about ¾ cup of flesh into mixing bowl, reserving rest for another use. Stir in cheese and cranberries. Season with salt and pepper, if needed. ARRANGE wonton skins on work surface. Place about ½ tablespoon of filling in center of each. Brush two edges with water, fold in half to make triangle and press to seal. 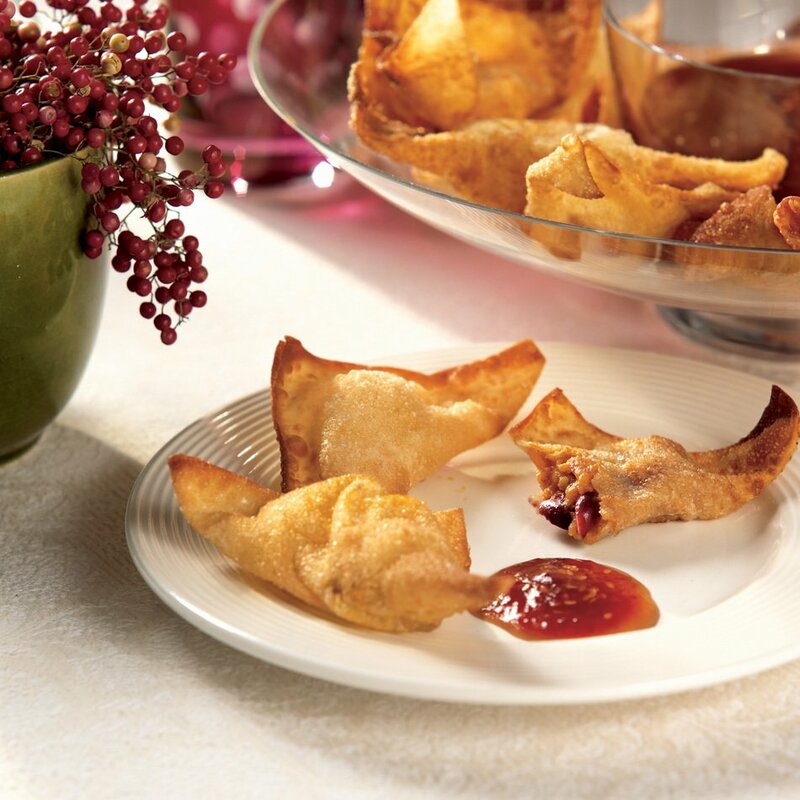 HEAT oil to 350°F, in heavy saucepan or deep fryer; fry wontons in batches until golden brown. REMOVE from oil and transfer to paper towels to drain. Serve warm with Sesame-Cranberry dipping sauce. This was surprising easy and everyone loved them. It was the hit of the party. And boy are they hot!